Brittania Heights is an upscale new home development centrally positioned between Nampa and Meridian in the heart of Treasure Valley. Inspired by Idaho living, Brittania Heights homes are adorned with stone details and rustic wood, accentuating their beautiful views and surroundings. 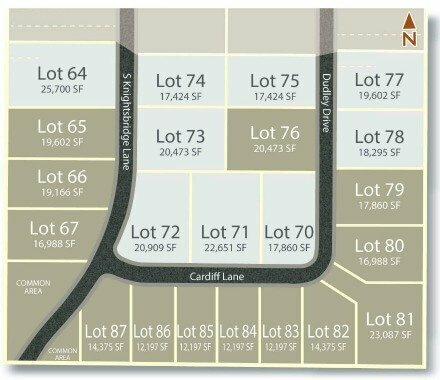 Homesites are wide and range up to an acre, perfect for RV garages and shops, and ideal for families in need of space. Residents are only 6 minutes from the 10 Mile interchange and Nampa Gateway Shopping Center, and 8 minutes from Meridian Rd ensuring city amenities are never far away. With a tranquil setting, large building lots and a great central location, Brittania Heights is the perfect new place to call home. From I-84 take exit 42 turning left (south) on Ten Mile Rd. Turn right (west) on Victory Rd then left (south) on McDermott Rd. Turn right (west) at E Stonecastle Dr, Nampa, ID 83687. Learn more about Brittania Heights homes for sale & building lots by contacting our Nampa real estate specialists online or by calling (208) 391-4466 today.